Dr. Teresa Taylor Williams, owner and publisher of New York Trend announced today the passing of her former executive assistant and office manager for New York Trend, her mother, Sophie Estelle Craft Taylor who died early Thursday morning after a long illness. 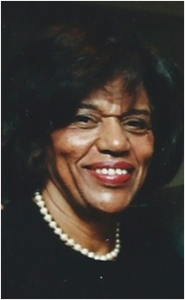 Mrs. Taylor was the former chief executive assistant to the director of the Mayor’s Office of Planning and Development under the Lindsay administration. She also had a long career with the New York City Board of Education as an administrative assistant and substitute teacher. Sophie Estelle Craft Taylor is survived by her husband, Robert Taylor Sr., daughters Dr.Teresa Taylor Williams and Susan Taylor Christian and son Robert Taylor, Jr. and many in-laws and grandchildren.